The German Veterinary Clinic (GVC), one of Abu Dhabi’s most established veterinary clinics, owned and managed by Dr Katrin Jahn, will celebrate 10 years of caring for Abu Dhabi’s furry friends on Thursday 17th May 2018. Visitors to the clinic on the day will be able to enjoy a range of special giveaways donated by local businesses as part of the celebrations. Additionally, guests will have a chance to receive a voucher for GVC pet health treatments such as vaccinations, laser therapy and pet grooming. Four-legged guests will also receive gifts from pet food company Royal Canin, who have kindly made a generous donation to the clinic’s Trap Neuter Return programme for feral and abandoned cats. Their human owners have the opportunity to receive tickets for AquaFun at A’l Bahar Corniche, and dining vouchers for popular restaurants wagamama and Pret a Manger. Visitors will also have a chance to meet the GVC team and the pet relocation specialists, take a tour of the clinic’s facilities, including the new K Laser therapy and high-tech dental X-ray services, and share 10th anniversary-themed refreshments after iftar. All are welcome from 10am until late at the GVC Khalifa City A location. Speaking of reaching the 10th anniversary, Dr Katrin says, ‘Over the last 10 years my team has built some very special relationships with our clients and their animal families, and it’s thanks to their loyalty and support that we’re here to celebrate this very special milestone’. She continues, ‘We’d like to invite GVC clients, friends and pets to join us at the clinic to help celebrate our anniversary, and I look forward to being able to thank them personally for their support and encouragement over the last decade’. 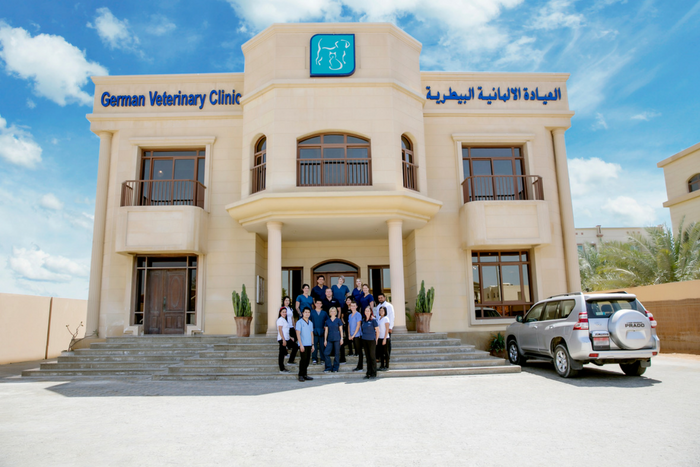 Located in Khalifa City A, the clinic, established by Dr Katrin in 2008, now comprises a team of 20 professionals, including 4 veterinary surgeons, specialist nurses, relocation specialists, and assistants. The clinic, which holds a Gold Standard Cat Friendly Clinic award, treats over 15,000 pets each year and offers a wide range of services which include pet health and nutrition, pet relocation under the Pets Go Global brand, and pet boarding.